≈ Comments Off on THE 905 CONDO EXPLOSION! It was bound to happen. RealNet Canada reported that August 2011 was the hottest ever recorded for new high-rise sales, AND it was the FIRST time ever that more condos were sold in the 905 areas of the GTA than inside the City of Toronto! Sales of new high-rise condominium suites more than doubled that month over August 2010 as a direct result of robust gains in Oakville, Markham, Vaughan and other 905 municipalities. Momentum in the areas surrounding Toronto has been building over the past few years, as our population ages, low-rise homes skyrocket in price, and municipalities comply with the province’s push for intensified development. Ontario’s Places to Grow Act calls for a large percentage of new residences to be built closer to traffic nodes and amenities in order to help prevent urban sprawl. Condominiums are the perfect answer, and the demand is huge in the 905 cities and towns. First-time buyers find condos more affordable, and people of all ages like the less hectic pace and access to family amenities they find in the suburbs. 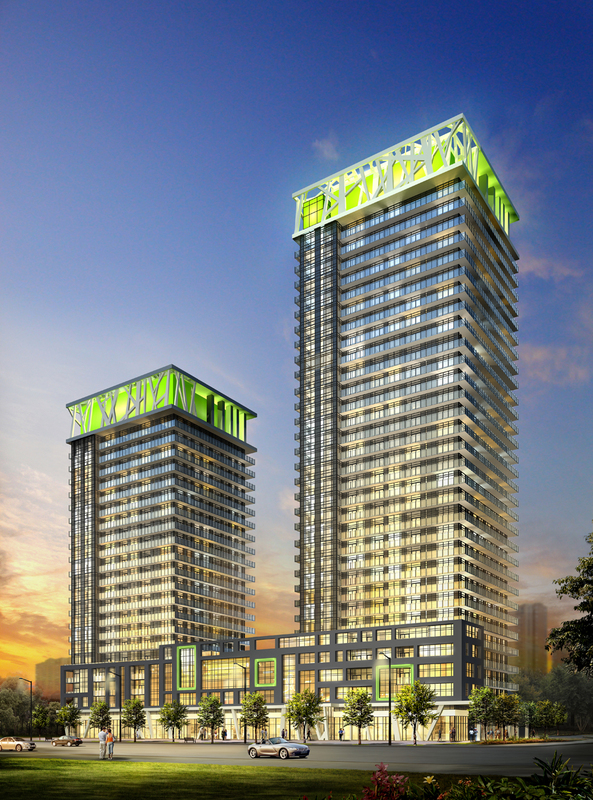 Remington Homes is an example of a renowned builder/developer that is helping to fill the need for condos, with an ongoing addition of new residences in Markham and Etobicoke. Nexus North in Downtown Markham is part of the master-planned community that is quickly becoming the hub of this prestigious town. At the Queensway and Islington, in the former Queenston neighboruhood, Remington’s IQ Condominiums has already proven a huge hit. Another example is The Daniels Corporation, which has enjoyed phenomenal success with Daniels’ City Centre in Mississauga. Suites in this master-planned community continue to sell at a rapid rate, with Limelight Condominiums the newest residence being offered. All of these suites are likely to increase in demand and in value. Maintenance-free living away from the city … you can have your condominium cake and eat it too – in the burbs!